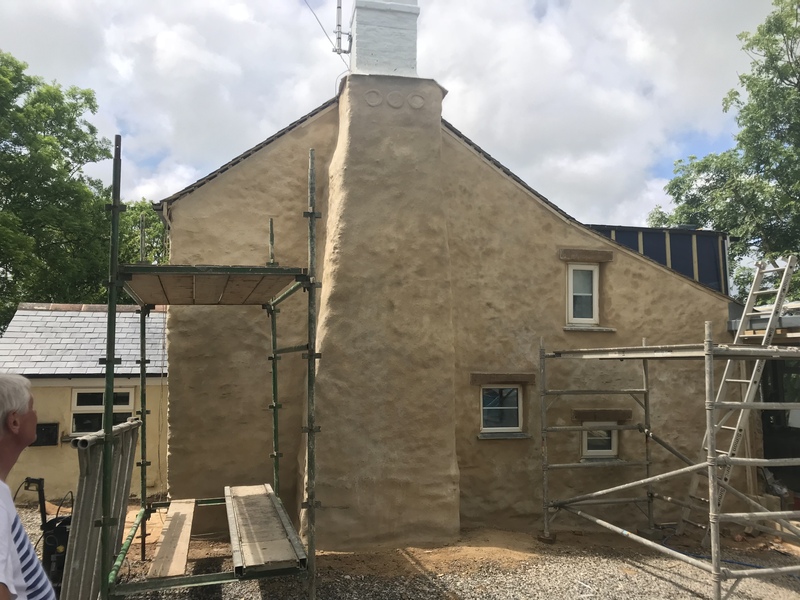 Bag rub render or ragging is a brilliant way to create a beautifully traditional breathable render. It can hide a multitude of sins such as previously botched opening infills, damaged stone work, cement lintels or even block extensions. 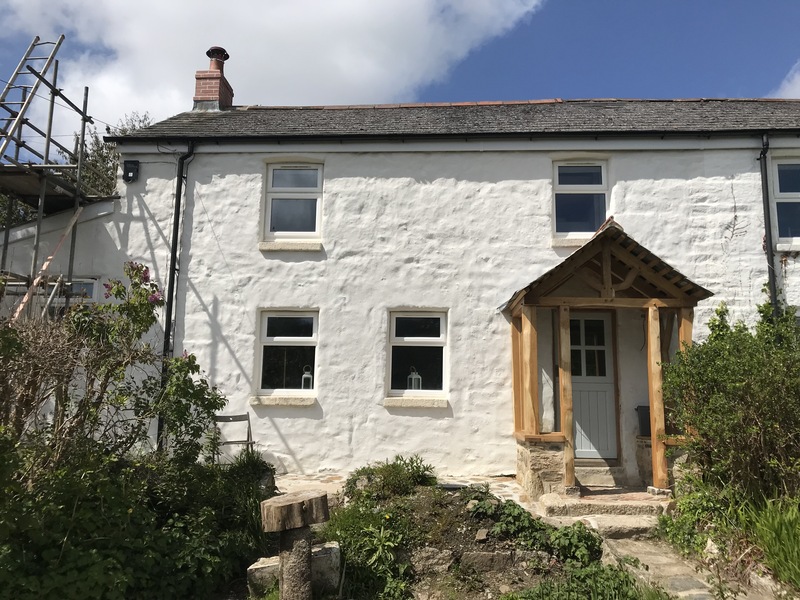 Historically almost all Cornish granite buildings were ragged then painted in milk paint . 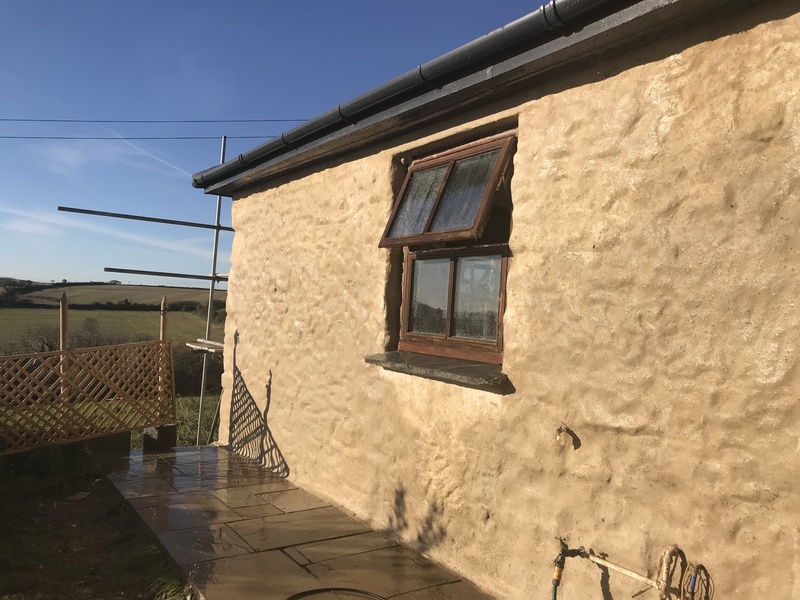 This created a durable, sympathetic to the structure ,hydrophobic covering.Historically exposed granite was frowned upon as it caused damp and was considered unsightly . Not unlike we today would consider a building left as bare block as unfinished and unattractive. 100 years ago people took pride in annually lime washing there properties in milk paint . Usually a mixture of lime ,casein and linseed oil. These days people have a desire to expose granite often never intended to be seen.Today we can offer a tinted hydrophobic mineral coating . This bonds directly to the lime creating a beautiful lime paint finish with over ten times the longevity of lime washes and milk paints. Often pointing it in cement exasperates damp issues. 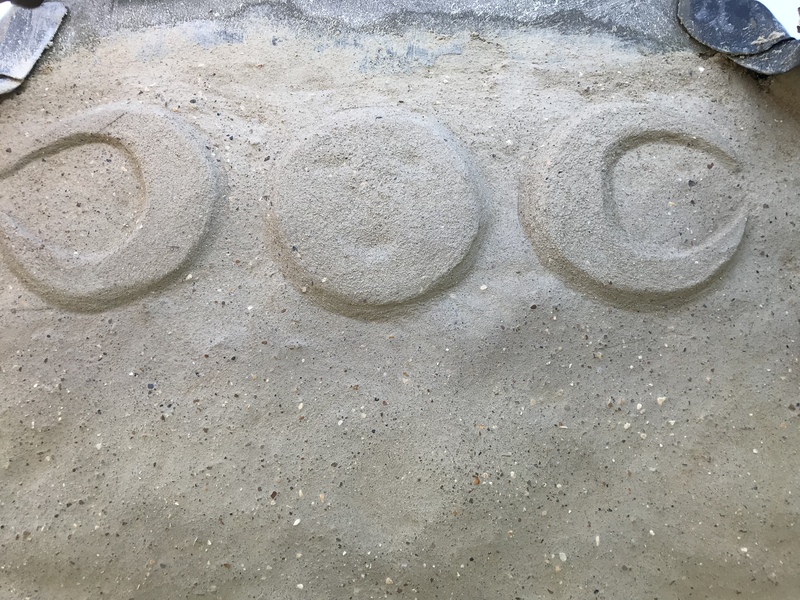 The modern builders answers to this are often to deal with the symptoms of the damp and never to cure the cause. Using tanking and non breathable paints and water proofing systems. We regularly get cals from home owners asking why there damp has got worse after repointing in cement. 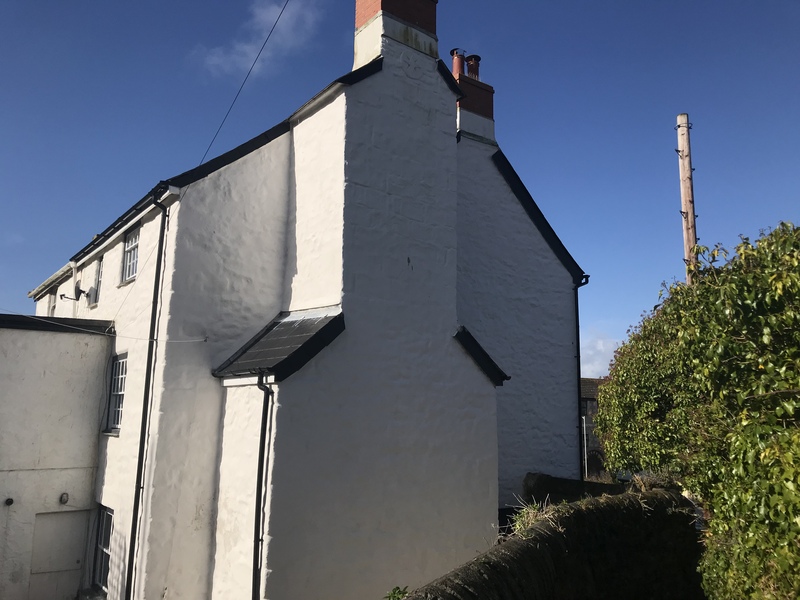 Often with the same builders offering to tank the internal walls to deal with the damp, trapping the damp deep in the structure.A well worked out water ingress management system along with potentially french drains and a heat retrieval ventilation system can often cure the damp issues resulting in a healthier more pleasant living space. Along with preserving the structural integrity of the building. Bag rub render finished with beecks paint. A gabel end bag rub rendered Gabel end with limed finnish . 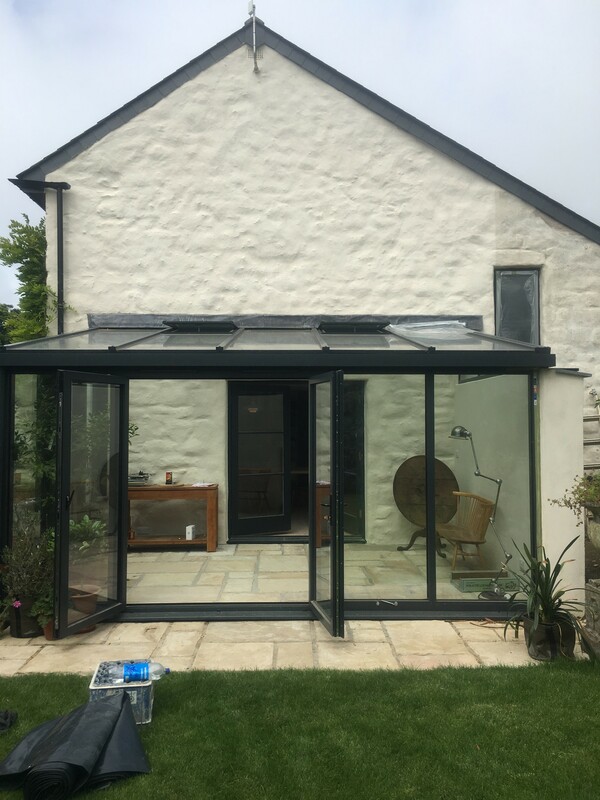 Bag rub render conservatory. Finnished with beecks beeckacil tinted hydrophobic mineral paint. Laying up internal bag rub. 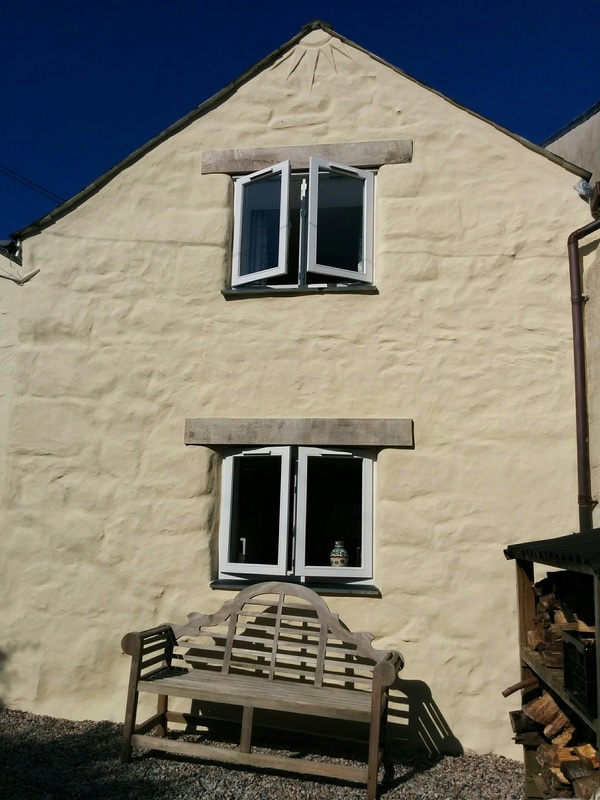 Bag rub render with oak lintels and a sun emblem. Bag rub render in Truro Motive on a bag rub rendered house. Large house bag rub rendered to treat damp issues. 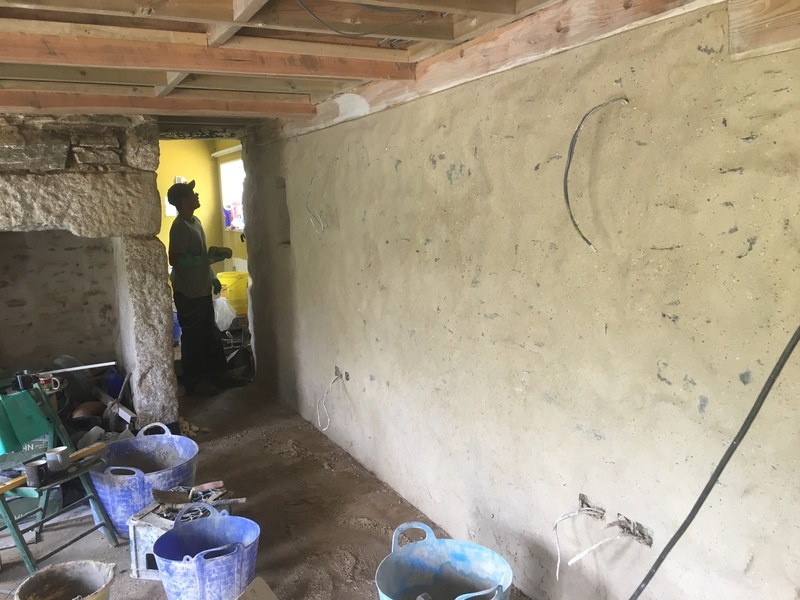 Internal bag rub render with a pointed inglenook. 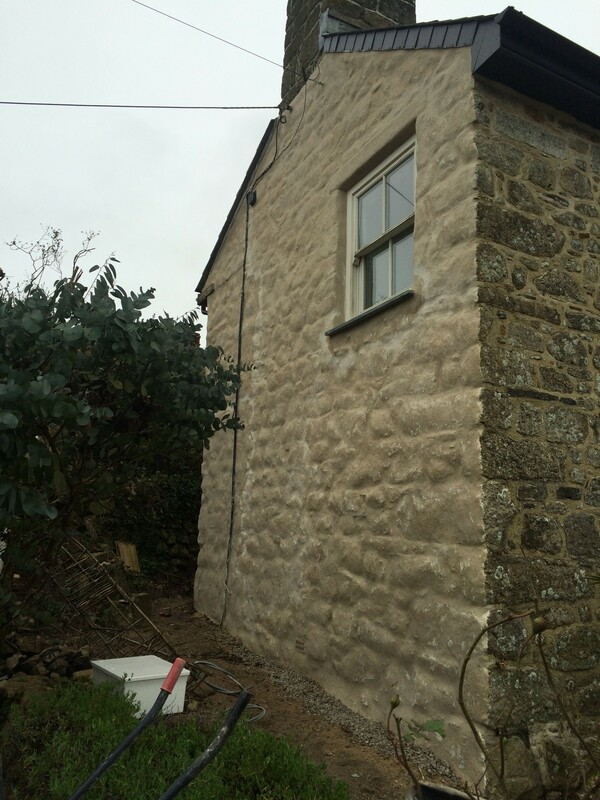 Bag rub render / ragging with oak lintels and a lime motive.